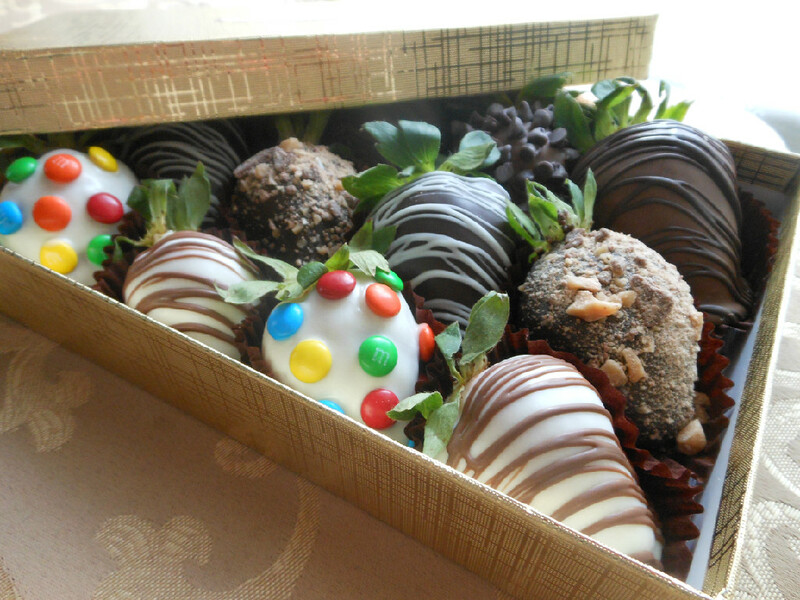 These hand dipped, covered, and smothered strawberries are sure to get your mouth watering! Each dozen comes wrapped in a gold box and offers a variety of dark, milk, and white chocolate covered strawberries. Our strawberries are made to order and delivered on the day of your choosing to ensure freshness. *We currently don’t ship our strawberries, but we offer FREE delivery to the Bergen County NJ area. If you aren’t sure if you are in our area just email us at info@dcschocolates.com.